Sheffield has been recognised as “a city that is going places with big ambitions” in a recent visit from the Foreign and Commonwealth Office (FCO) International Leaders Programme. 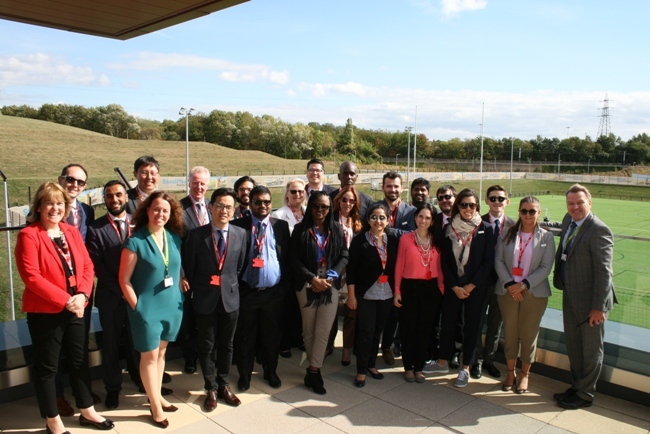 During the visit, FCO representatives from 17 different countries visited a number of sites across the city including: Sheffield Olympic Legacy Park, The University of Sheffield’s Advanced Manufacturing Research Centre, The Sheffield Assay Office, Museums Sheffield and Sheffield Theatres. The International Leaders Programme seeks to connect and engage with up and coming leaders from the Emerging Powers, selected partners (G7, EU and Australia) and Official Development Assistance (ODA) eligible countries, through an inward visits programme. Sheffield is one of three city visits arranged by Common Purpose for the FCO this year, which began with Leeds in July and will end with one in Edinburgh later this year. Common Purpose operations director Sara Clarkson said: “At Common Purpose, our programmes are all about leaders crossing boundaries – whether those are sector, generational or geographical boundaries. As part of the two-day agenda, the representatives also visited The Mowbray in Kelham Island and GLIDE House in Attercliffe. The group included the Director of Strategic Initiatives from the Obama Foundation in the USA, the Head of Foreign Policy in Albania, Vice Minister for Inclusive Economic Development in Paraguay, and a Member of the Economic Advisory Council to the Prime Minister in India. Project lead for Sheffield Olympic Legacy Park, the Rt Hon Richard Caborn, said: “It’s an honour to welcome delegates from so many parts of the world to see what is being achieved here in Sheffield. “We were extremely proud to host the group at Sheffield Olympic Legacy Park to share our vision to create an innovation district for health and wellbeing research and learning. The best way of explaining to people what’s being achieved here is by showing them the site – showcasing how far we’ve come and outlining the plans for the future.